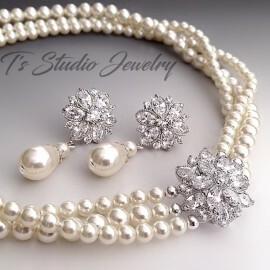 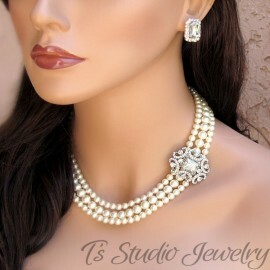 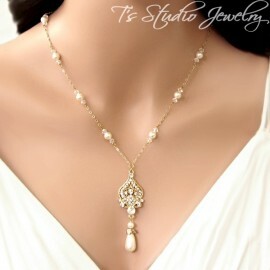 This necklace and earrings set is gorgeous! 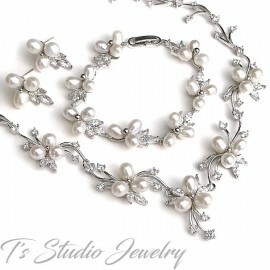 For the haute couture bride on her very special day. 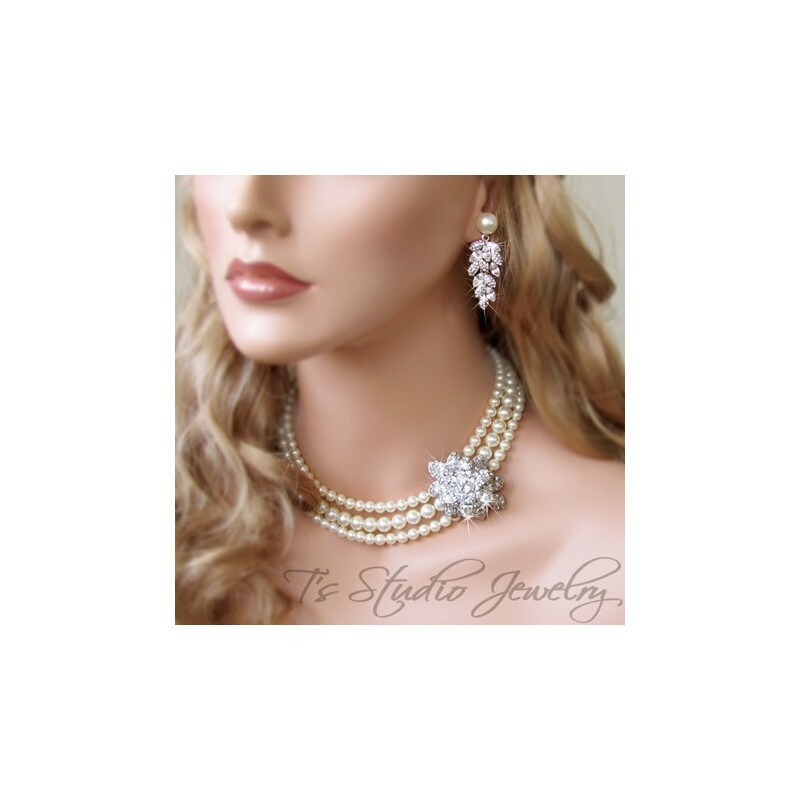 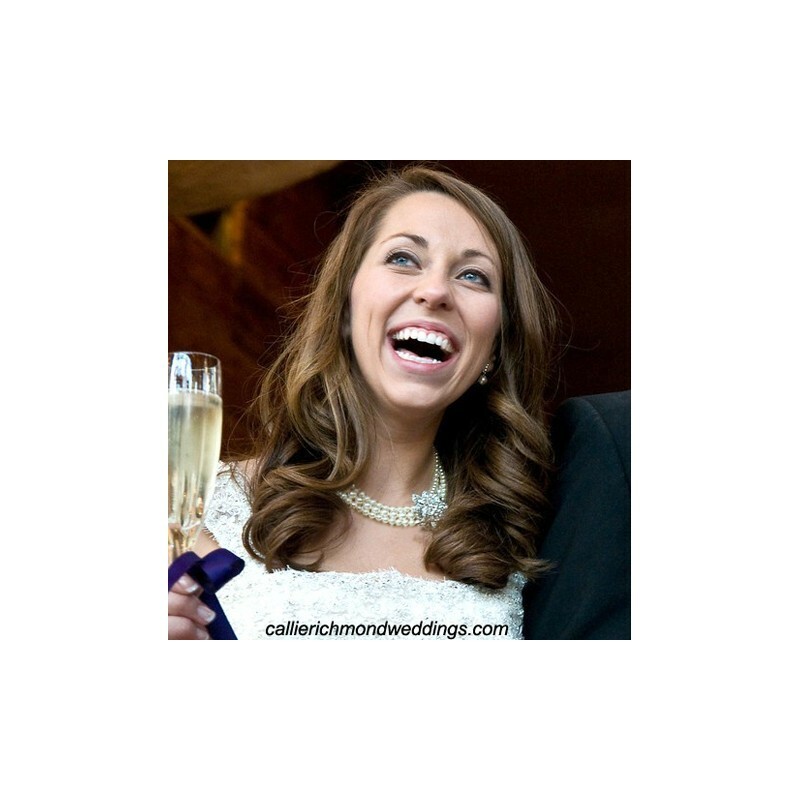 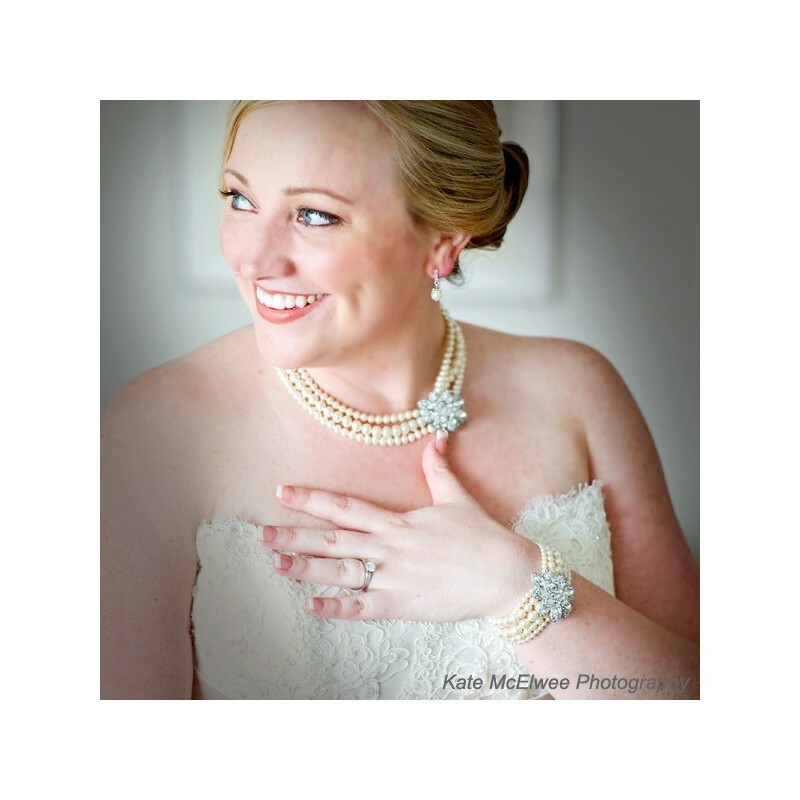 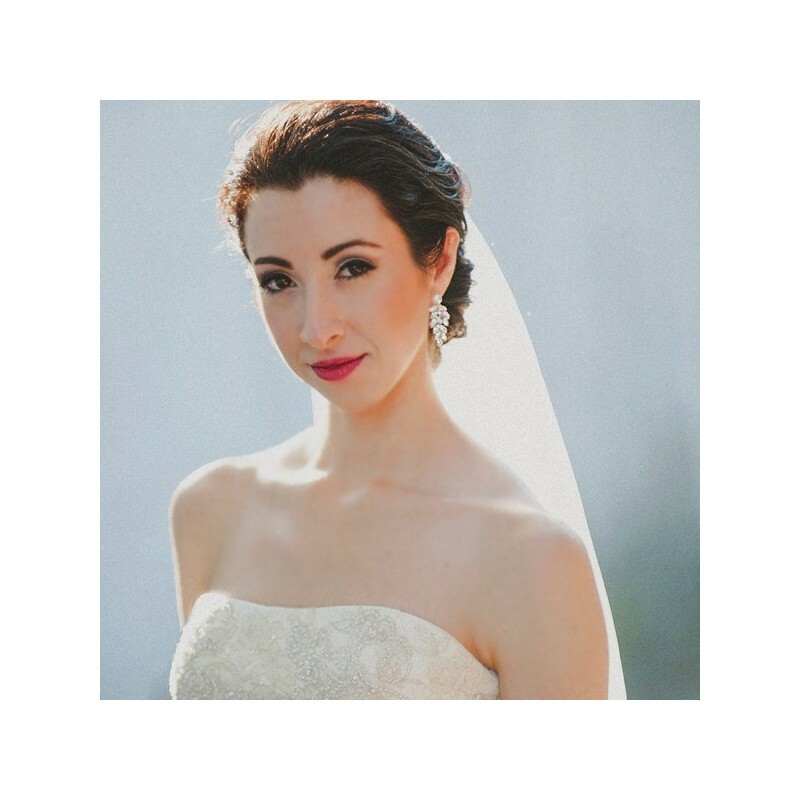 Look stunning on your wedding day with the whole "Carolyn" collection. 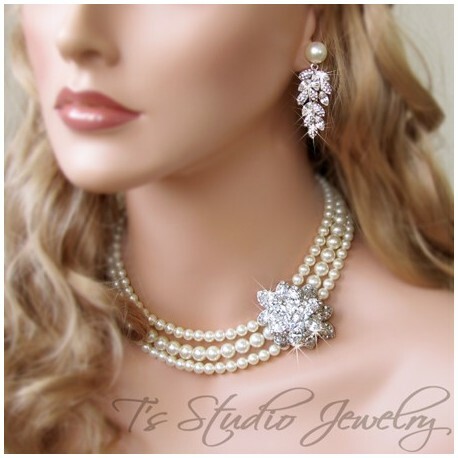 The rhinestone flower centerpiece of the necklace is made of clear navette shaped crystals. 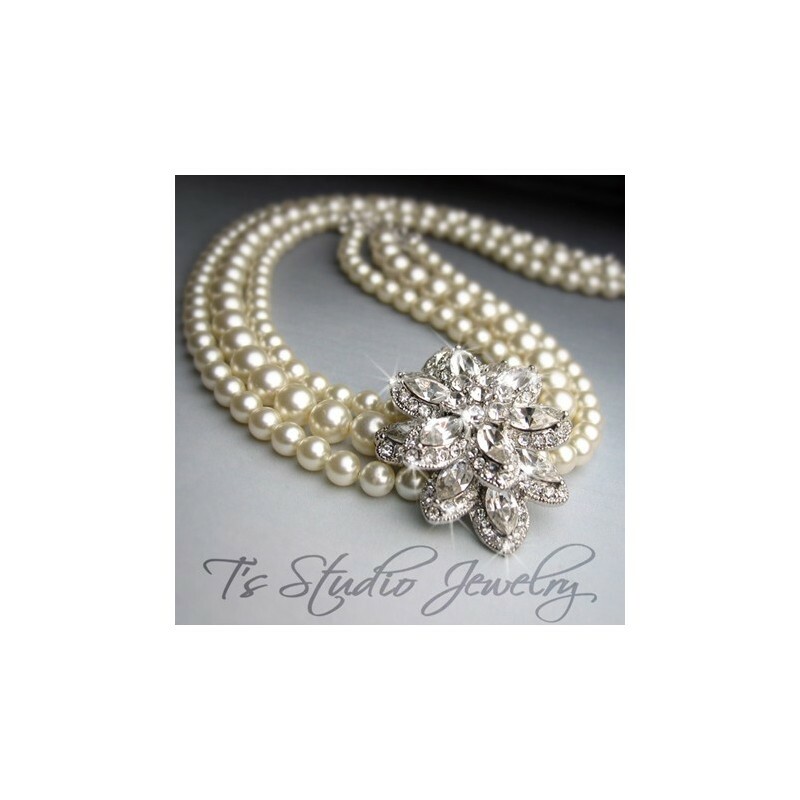 There are three strands of pearls in graduating sizes. 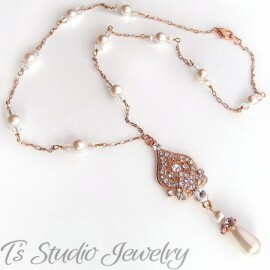 Necklace is adjustable from 15"-17". 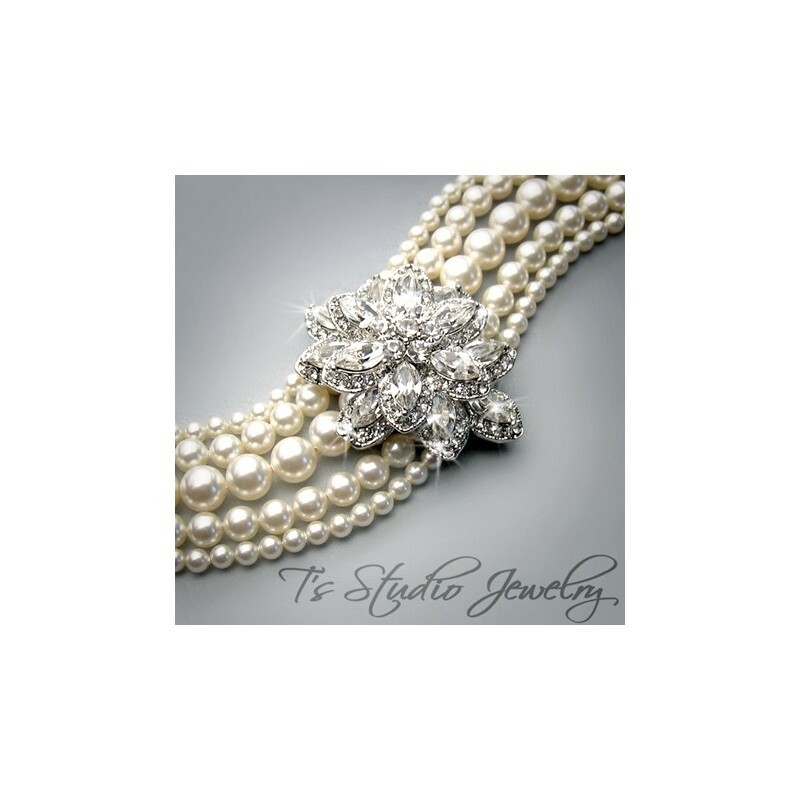 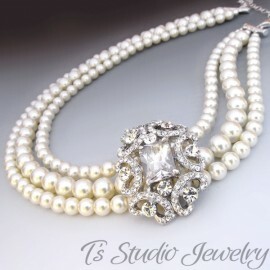 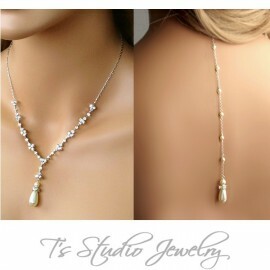 The dimensions of the necklace crystal centerpiece are 1 3/4" x 1 1/4". 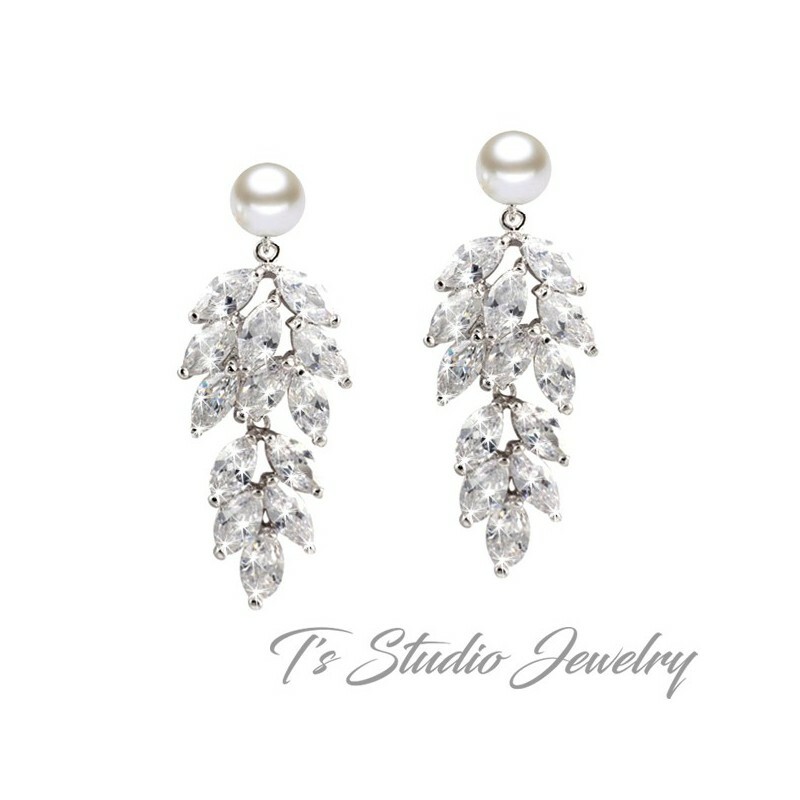 The earrings are made with delicate marquise shaped cubic zirconia leaf petal drops, that dangle from a Swarovski Pearl and sterling silver post.